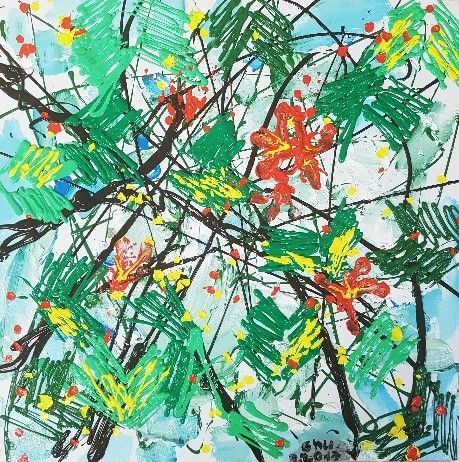 Xeo Chu Art Exhibition features the works of a young Vietnamese artist, Xeo Chu. Aged 10, Chu is the son of a well-known gallery owner and was brought up with the appreciation for contemporary fine arts. Chu first held a paintbrush at age four and has since become a prolific child artist. Despite his tender age, he has participated in numerous exhibitions to raise funds to better the lives of impoverished and underprivileged children. The art exhibition is based on his views of the trees, and life itself, from his perspective as a child.